According to Namely’s database of over 1,000 companies, the average HR salary across all levels of experience is $94,949. That’s quite promising, but we wanted to dig deeper. 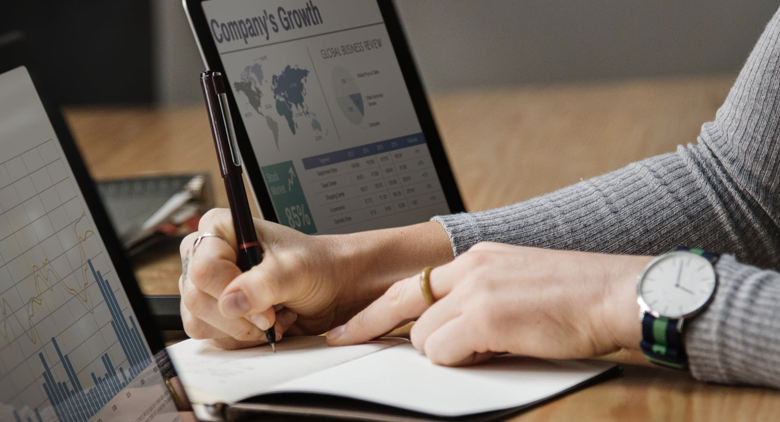 In the HR Careers Report 2019, we set out to understand how company size affects compensation, which job titles receive the most competitive salaries, and how HR professionals are valued at each stage of their career. Here’s what the data had to say. Data reveals that non-managers hoping to optimize their earnings should look for companies with 1-50 employees or more than 750 employees. Conversely, earnings for non-managers is lowest at companies with 50-750 employees. This may be because smaller companies often have small but nimble HR teams, with one or two critical members. As more senior HR representatives join the team, the average non-manager salary likely decreases as a result. On the other hand, managers earn more as their company grows. 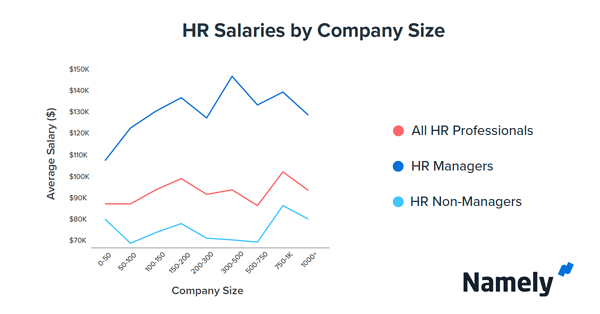 At 1-200 person companies, HR manager salaries increase with overall headcount. Managers see a spike in earnings at companies with 300-500 employees, where increasing team size and direct reports can earn them nearly $150,000 per year. Job titles are indicative of career advancement and company status. To gauge trends in compensation, we started by looking at the salary data for the most common job titles in HR. Unsurprisingly, upward mobility in title or level is rewarded with appropriate compensation. This data confirms that the HR career trajectory is promising for anyone looking for long-term advancement. However, this analysis also revealed another surprising trend. The HR and recruiting functions appear to be valued differently in the modern workplace. 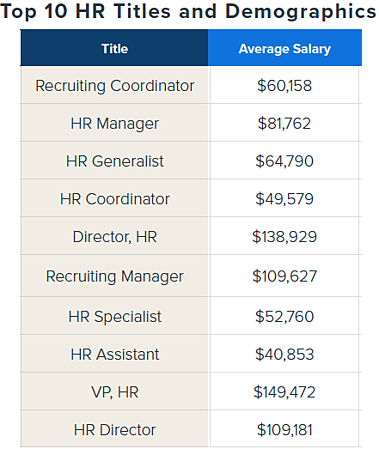 HR coordinators receive a lower average salary than recruiting coordinators. That said, HR coordinators also have more than double the tenure. This trend extends up the totem pole all the way to the manager level. 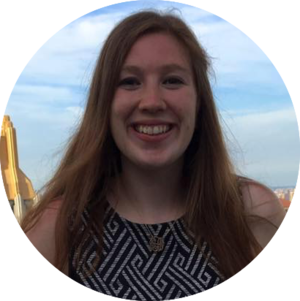 Recruiting is a fast paced and high demand function, so compensation may be commensurate. However, it might also indicate a need to put more value on engagement and tenured HR professionals who strive to build better workplaces. With an average ratio of one HR employees for every 50 employees, a company in the sweet spot may have only one or two people leading their core HR function. With such a small team, it’s possible that job titles deemed “mid-level” actually represent the most senior HR roles within the company. As overall headcount grows, managers and non-managers alike should use these findings to inform potential career moves, either internally or with another company. Download the full HR Careers Report for trends in salaries, titles, and more.